TractionCRM Is On The Microsoft CRM App Store! 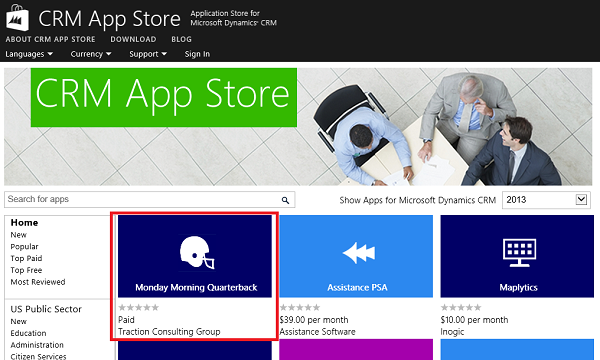 Our tool for Microsoft CRM, Monday Morning Quarterback, is now available on the Microsoft CRM App Store! Our app for Microsoft CRM – Monday Morning Quarterback – is now available on the Microsoft CRM App Store! You can check it out here. What If You Could “Google” Your Data? Now more than ever, companies are struggling to keep up with the demand for better analytics, and faster / real-time access to data. The problem is that the simple data tools we used to use (Excel) are no longer able to stand up to the shear amounts of data required to get “the big picture”. The standard model for Excel (load data, massage data, build pivot tables, convert to charts, repeat next month) is broken – too much time is wasted each and every month simply regenerating reports. 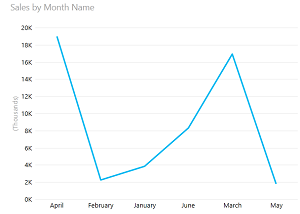 Enter Power BI from Microsoft. 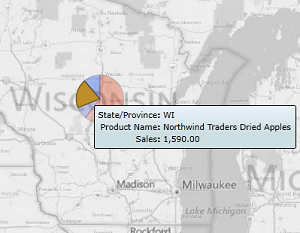 Power BI is a collection of Microsoft Excel add-ons that give power users the capability of collating data from many different sources, and build Click-type charts, maps, and other “visual” tables. It enables real-time decision making within the toolset most employees are familiar with – without having to wash/rinse/and repeat the process each and every month. Reply Back NOW To Register! Join us as we walk you through the Power BI toolset, how it solves “big data” problems, reduces costs, and helps employees get immediate answers to make better business decisions for your organization.